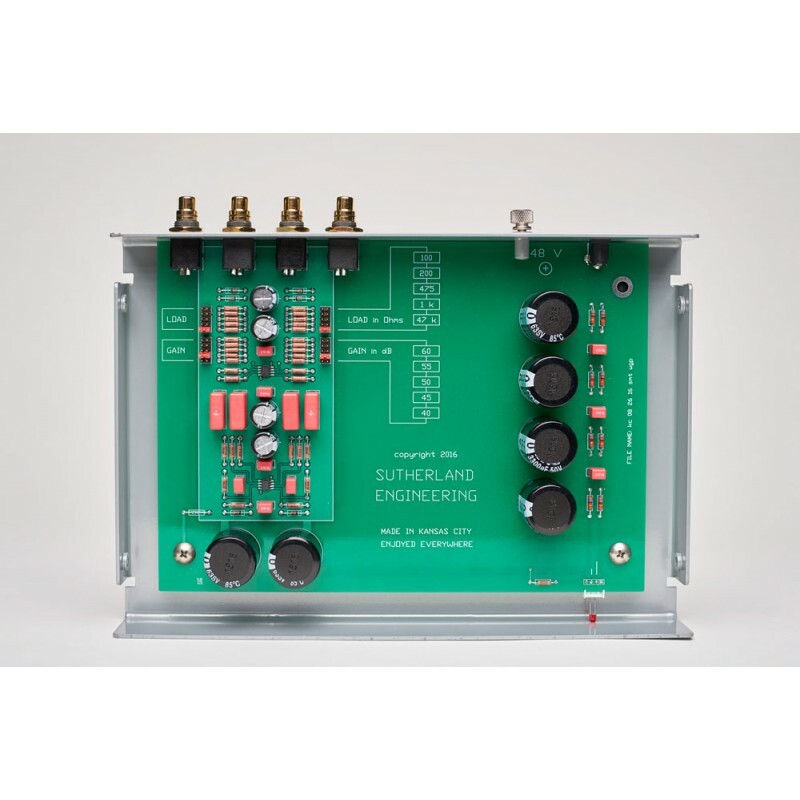 A new phono preamp offered by Sir Ron SUTHERLAND is always an event! 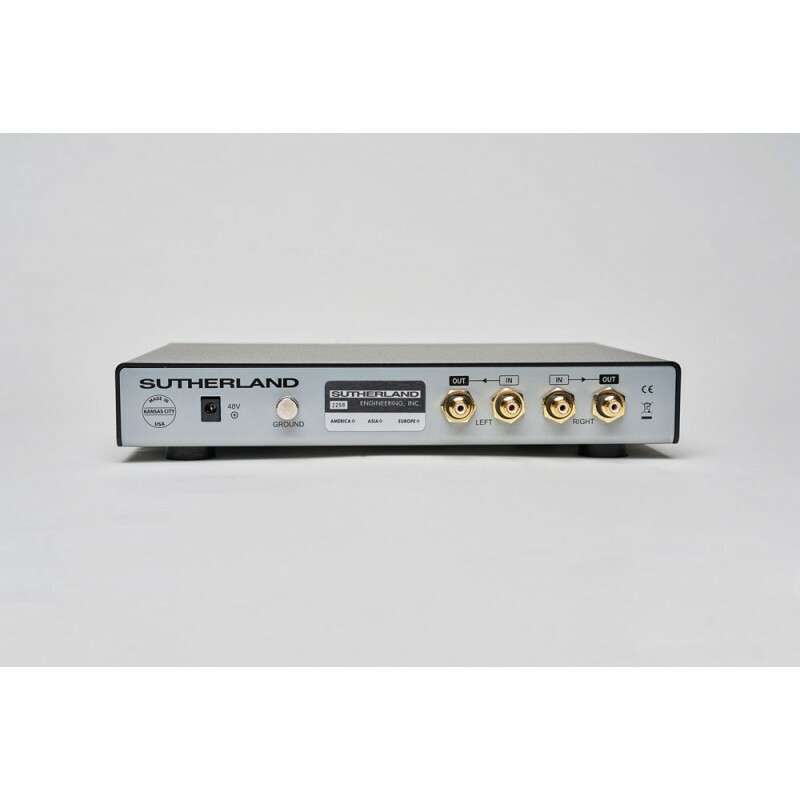 After about 10 years of good and loyal services, the phono preamplifier PH3D Sutherland is removed from the catalogue and replaced by the Sutherland KC Vibe phono preamplifier! 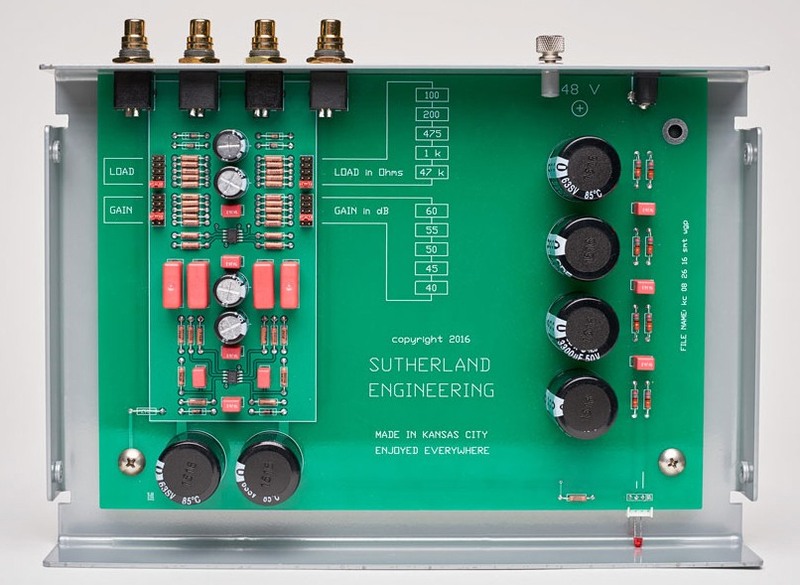 This Sutherland KC Vibe phono stage is completely handmade in the USA, and more precisely in Kansas City. 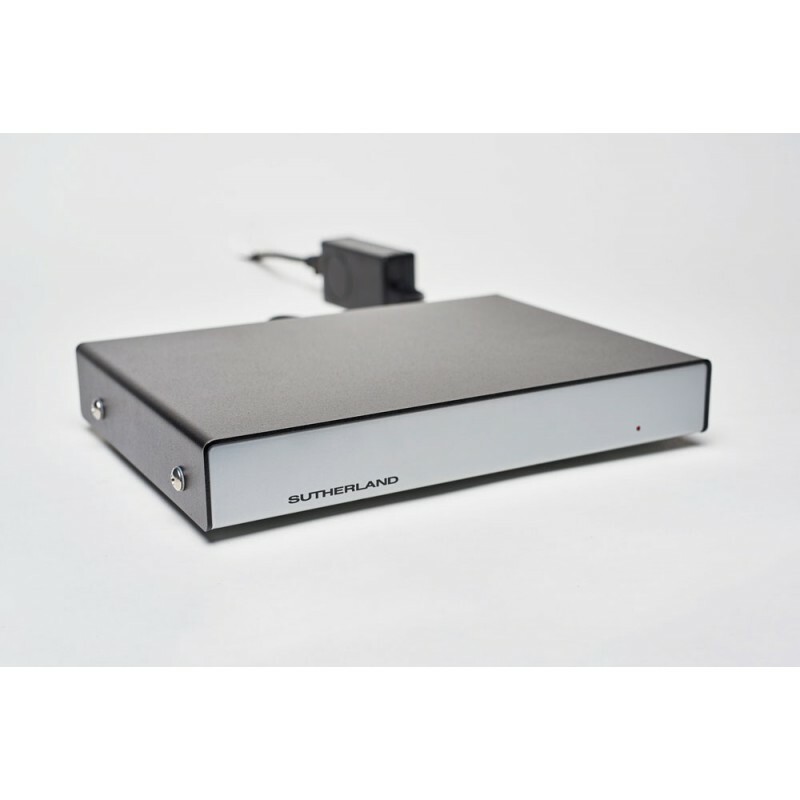 This new product comes in an aluminium casing that is half the size of the Sutherland 20/20 phono preamplifier. The front panel is of exemplary simplicity: in addition to the silkscreen printing of the brand, a red LED indicates the power up. On the back panel, there are 2 sets of gold plated RCA of very beautiful manufacturing. 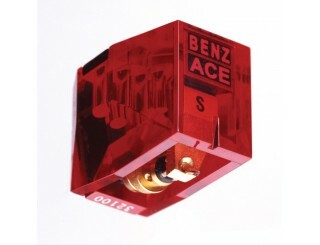 They are screwed to the chassis and offer an impeccable contact quality. They are teflon insulated and receive a thick plated layer of gold. There is also a “beautiful” ground screw that provides a perfect contact and tightness. Unlike its predecessor, the KC Vibe no longer uses any batteries. Indeed, it receives an external power supply that delivers a direct current of 48V. Ron Sutherland added an impressive filter of more than 13200 uF. All of this is actually to obtain a stable and totally silent power supply with the same characteristics as a battery. As always with Sutherland, the circuit board is sublime! 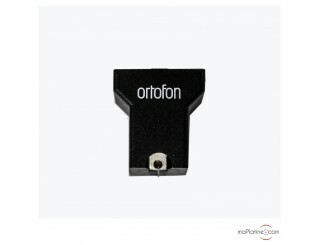 The quality of the components is excellent and their integration is clean. The circuit offers, via “jumpers”, 5 load settings (100, 200, 475, 1k and 47k Ohms) and 5 gain settings (40, 45, 50, 55 and 60 dB). The opening bars reveal the analyzing power of the Sutherland KC Vibe. Do not think it favours transparency and brightness. Since the noise level is very low, the smallest detail is noticeable. The positioning of the performers and soundstage are also one of its strengths! The restitution is balanced and favours the neutrality with excellent dynamics and surprising transitions for a product of this range. We combined this phono stage with 2 MC cartridges of reference but within a realistic budget (Ortofon Quintet Black S MC cartridge and Benz Micro ACE SL MC cartridge). 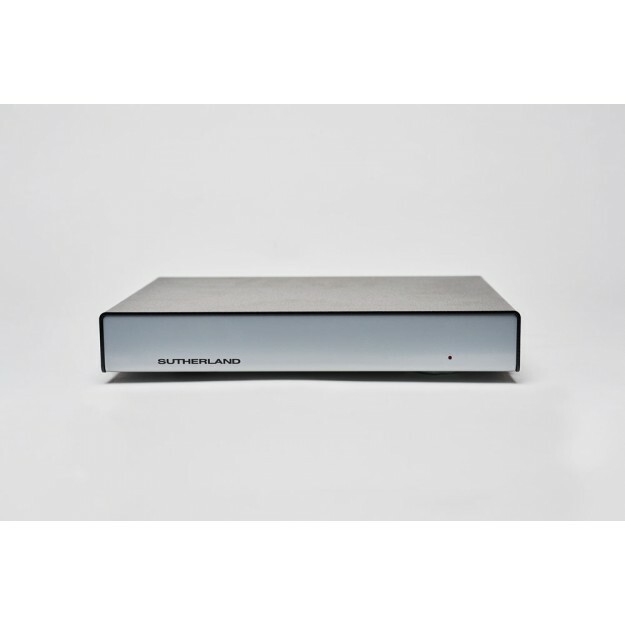 The Sutherland KC Vibe phono preamplifier is certainly the deal of the moment. The price at which it is offered makes the brand Sutherland accessible to more music lovers and this is very good news.